The state began to reserve residual forests after the enclosure of the commons in the 17th century, and the conservation of these ecosystems resulted in national parks late in the 19th century. Conservation segued into environmentalism when the harmful behaviour of industry became more evident by the mid-20th century. 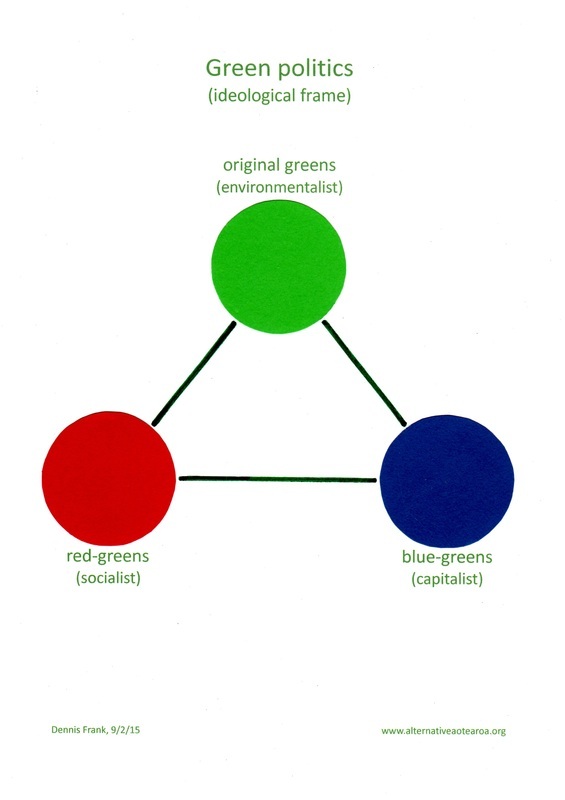 Ecology emerged from biology as evolution gave way to a system focus on nature, and the Gaia hypothesis has since accumulated a substantial evidence basis, and become established theory in science. 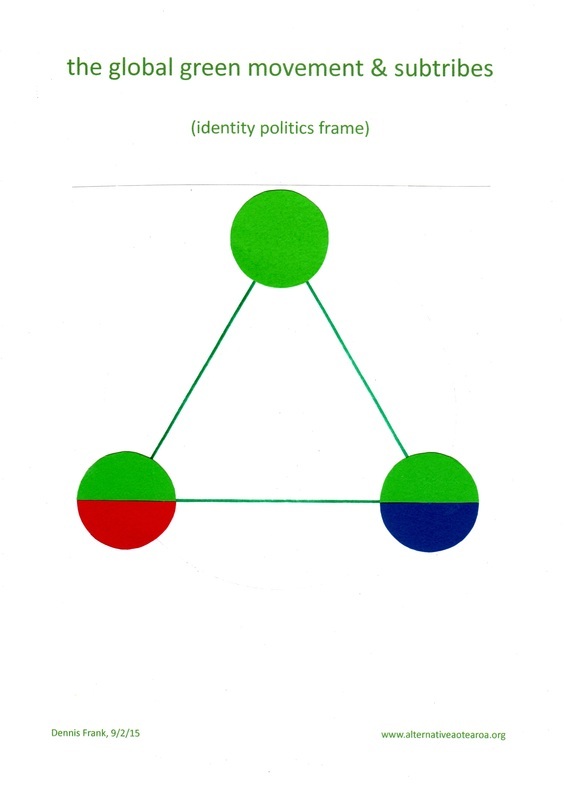 Putting this all together, we get an integral frame, in which we can see how the triangulation of the antique left/right polarity is being performed nowadays. 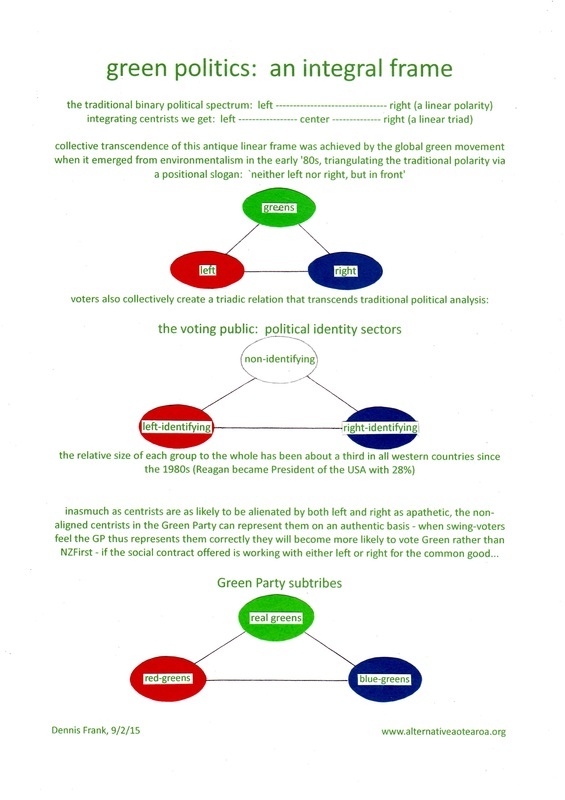 It is evident in three contexts: in the wider culture of media & public life, in the minds of voters, and within the Green Party. 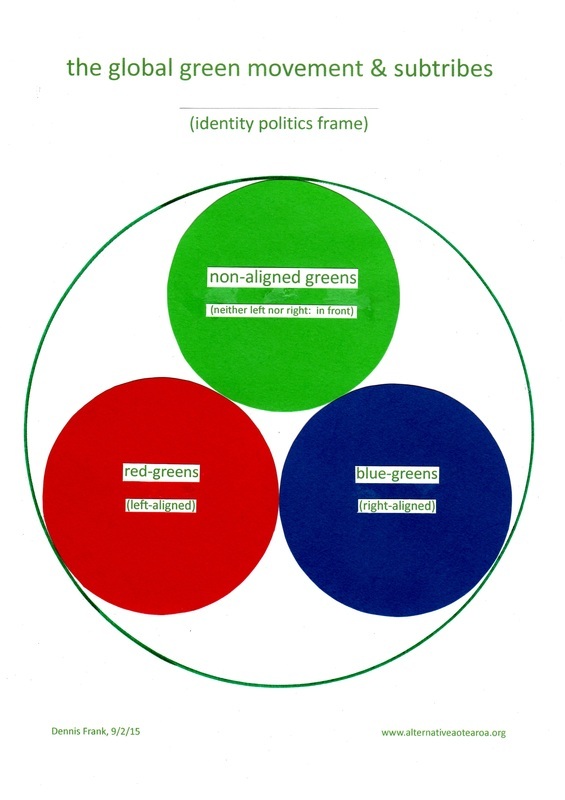 Politicos & green activists talk past each other, or at cross-purposes, when they mis-identify each other or mis-read the social contexts in which others are operating. The integral frame elucidates the overall psychological and historical deep context and helps all players in the game grasp the big picture. Getting their heads around it puts them all on the same page. Antipathies and confusion can be resolved as clarity emerges. Then they can all collaborate more effectively.